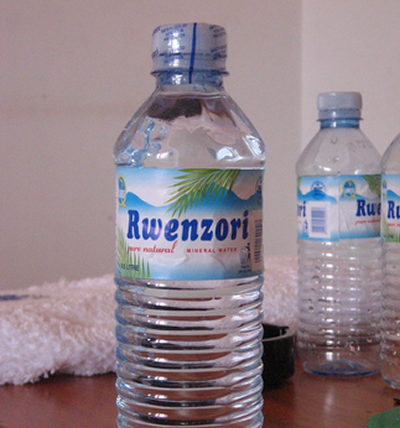 RWENZORI Beverage Company, is one of the leading producers of pure natural water in Uganda and East Africa. Having started in 1993, the company faced challenges of acceptance since the product bottled water was new to most people. However, with time, most peolple now cherish the company’s products. The company employs thousands of Ugandans and supports different schools through study tours and co-curricular activities. It was the first company in Uganda to receive the ISO 9002 certification for developing and maintaining a high quality management system. It is also operating under the Uganda National Bureau of Standards (UNBS) verification. Prashanta Chowdhury, the marketing manager, says producing quality products to satisfy customers is what the company aims at. He says despite the influx of other beverage companies in Uganda, Rwenzori continues to give people what they deserve. last year for being part of Uganda’s major exporters. He says they export pure water to the Democratic Republic of Congo, Rwanda, Tanzania, Kenya and Southern Sudan among others. Chowdhury says the ban on plastics has affected the company since the cost of producing bottles has increased. He adds that the competition from other companies is stiff, however, they have coped. marketing, reinvestment and an efficient distribution network. To achieve fame and maintain popularity, Rwenzori Beverages strictly adheres to the internation standards of quality. The origin of Rwenzori Mineral Water is from a rich artisan well in Namanve, around one of Uganda’s natural wetlands. The source has one of the purest fresh natural mineral water in Uganda. The water is bottled at the source using modern manufacturing and production technology. The Company has a well equipped PET bottling plant, which can produce over 480,000 bottles per day. The water bottling lines can produce over 300,000 bottles per day, according to Chowdhury. This reflects the company’s desire to keep a pace with technological advances. Currently, the production capacity has risen to 25,000 boxes of water per day from 4000.
we can market your products , we do marketing and promotions for food and beverage companies and can assure you of increased sales . call or whatsapp 0706103545 or 0785037600 for details. i would like to be your agent. Am glad to say this that very Ugandan always appears unique and not ordinary when they hold a bottle of Rwenzori water.